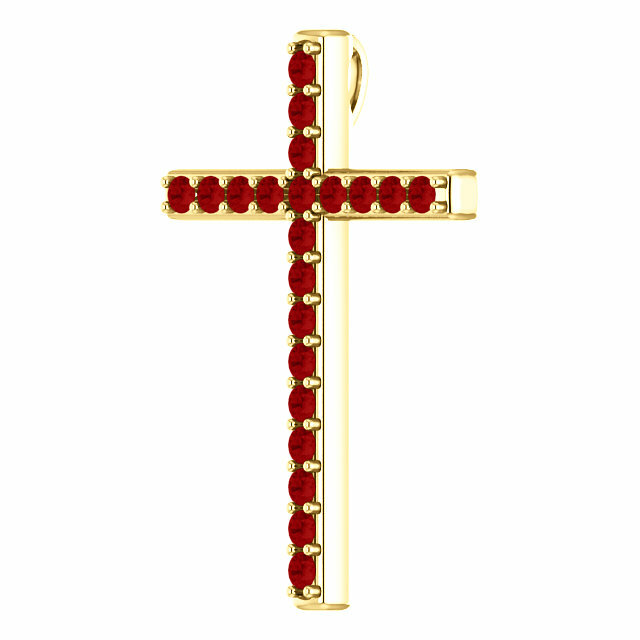 Beautiful red ruby is the passion of this cross pendant in your choice of 10k, 14k, or 18k yellow gold from Apples of Gold Jewelry. 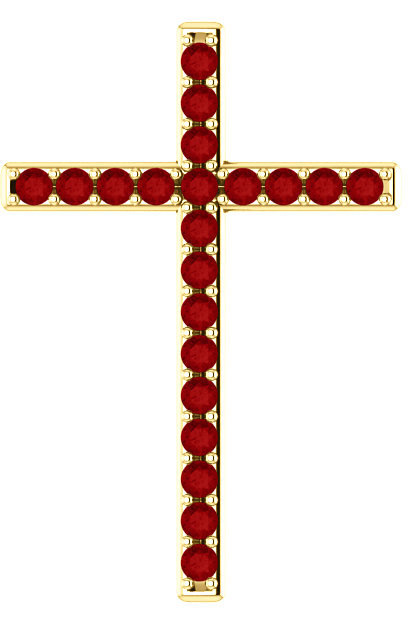 The cross is set with 21 "A" rated quality 2mm ruby gemstones. The distraction of the hoop/bale is placed behind the cross to create the ultimate in beauty when worn. The pendant measures 1 1/4" tall x 0.85" wide. Add a yellow gold cable-link chain necklace to the cross (optional) or wear the pendant with a necklace of your own. "He that believeth on the Son hath everlasting life: and he that believeth not the Son shall not see life; but the wrath of God abideth on him" (John 13:36). We guarantee our Gold Passion of the Cross Ruby Pendant to be high quality, authentic jewelry, as described above.